Russia seems confused. If one of their criteria for holding state-issued securities is that the state itself be liquid, it has no business holding American treasuries. Russia can give the Trump administration a run for its fiat money when it comes to lying on the public stage, so we'll assume this is more meaningless propaganda for now. 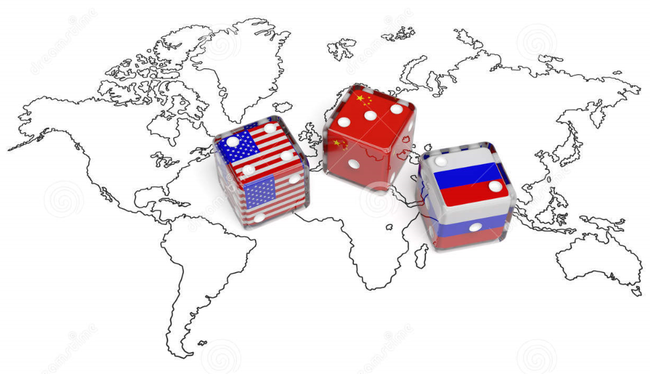 As for China, will the trade war provoke them to start dumping their US treasuries on the open market, as the kindergarten-sandbox-fight tenor of international diplomacy continues to deteriorate? Moscow and Beijing have cut their holdings in US Treasury securities. Russia sold $5.3 billion in January and has sunk to 16th place of the largest holders of American debt. It is the lowest level for the country since February last year. “We absolutely do not hold American securities exclusively. The main thing is that these securities should be liquid. So should be the state that issued them,” said Russian Finance Minister Anton Siluanov in an interview with NTV this week. China also sold nearly $17 billion in American bonds in January. Although Beijing is still the largest holder of US Treasuries, the total amount of Treasuries in its reserves has dropped to its lowest level since July of last year.